You can use them forever. This is the age when a lot of your friends are tying the knot and you’re almost always a bridesmaid. 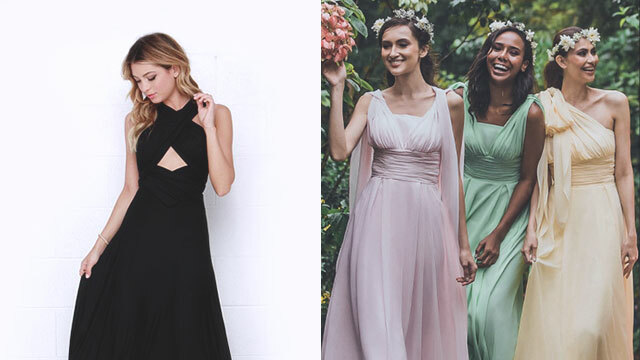 While you’ll need to stick to the wedding color palette, some brides give free rein on what style or cut of dress you can wear, so if you’re buying your own, why not make it something that you can reuse? Or better yet, something that’s convertible. Having a convertible gown (also known as an "infinity gown") is like buying several dresses for the price of one. Sure, a piece can be expensive, but you’ll definitely wear it over and over again not just for weddings, but also for formal work events. Who doesn’t love layers? Feel ultra-feminine with this tulle piece that can instantly go from prom queen to classy bridesmaid. TRY: Coco Melody Chic Sweetheart Natural Knee Length Tulle Dress, P5,299, available in 73 colors at Coco Melody. Wedding receptions are synonymous with food and partying, so if you want to keep that tummy in, this convertible gown with a wide waistband can give you the support you need without having to sacrifice style. TRY: Coco Melody Trendy Sheath-Column Natural Floor Length Chiffon Dress, P6,399, available in 82 colors at Coco Melody. 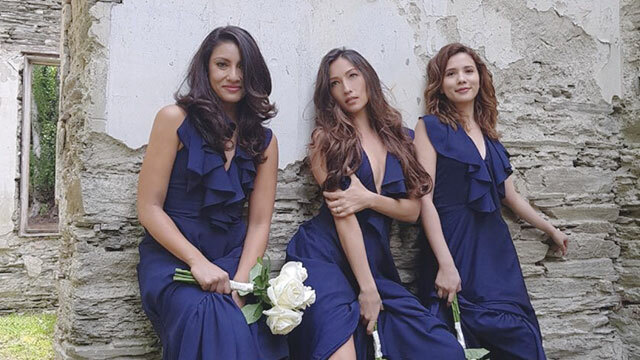 Catching (or avoiding) that bouquet can get physical, so having a comfortable spandex dress that makes you look like a goddess is a definite must-have for the 'galawgaw' bridesmaid. 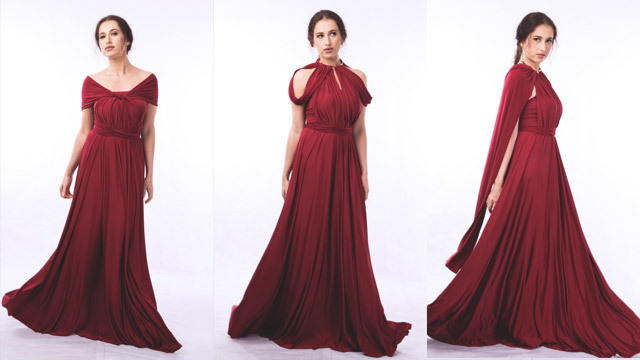 TRY: Coral Couture Spandex Infinity Dress, P3,450 to P3,795, available at Coral Couture. If you can’t let go of the asymmetrical dress trend. 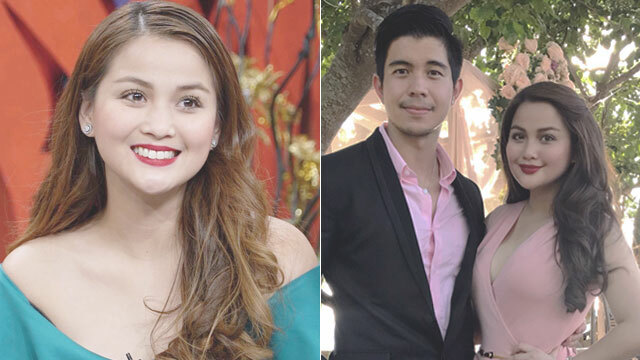 Want to make a statement without outshining the bride? Asymmetrical dresses give an effortless classy but off-beat vibe that reflects your personality. TRY: Coco Melody Timeless Asymmetrical Natural High-Low Knitted Fabric Sleeveless Dress, P6,399, available in 63 colors at Coco Melody. Black will always be sophisticated, and more brides are considering this option for their entourage. This dress can take you from the reception to your BFF's after-party. TRY: French Dolls Infinity Wrap Convertible Dress, P2,850, available at Zalora. Channel Old Hollywood with this mermaid dress that will highlight your curves. 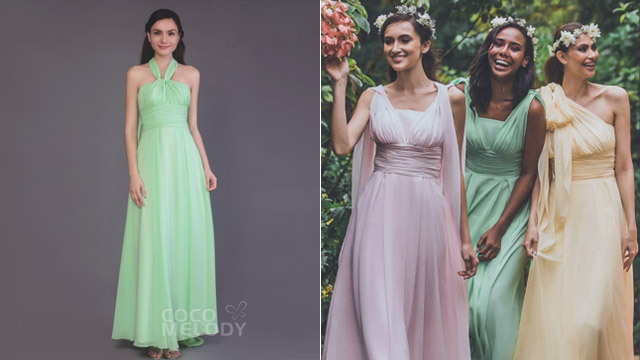 TRY: Coco Melody Trumpet-Mermaid Court Train Knitted Fabric and Tulle Bridesmaid Dress, P6,499; inquire for available colors at Coco Melody. Go boho-chic with a tulip dress! Easily amp it up with statement jewelry or tone it down with a simple pair of chunky-heeled strappy sandals. TRY: love, C Infinity Tulip Skirt, P2,250, available in 56 colors at love, C Manila.